Fedora Linux is well known for its innovative features and for incorporating cutting-edge technology in every major release version. The upcoming 14th edition of Fedora, codenamed "Laughlin", is offering more fresh and groundbreaking features that will probably be adopted and used by other Linux distributions as well. In case you are wondering, Laughlin is named after physicist Robert B. Laughlin. 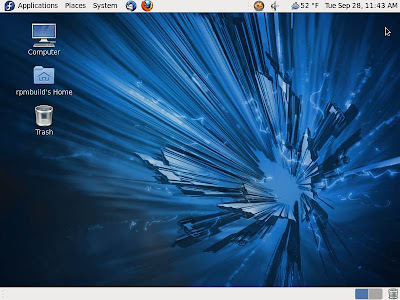 Fedora 14 will be the first to incorporate desktop virtualization capabilities utilizing Red Hat's VDI (virtual desktop infrastructure) called SPICE (Simple Protocol for Independent Computing Environments). The software makes it possible for Fedora to host virtual desktops that can be accessed over a network. SPICE is an interesting new open-source technology that many people would want to try out, and it may provide a better user experience in desktop virtualization in the long run. Aside from SPICE, Fedora 14 is also loaded with other exciting and innovative features. One of my favorite is the integration of the MeeGo mobile operating system framework, which will let users try out the MeeGo touchscreen interface and use applications from the MeeGo project. Fedora 14 will be pre-installed with a demo version of one of the best and most popular CRM software called Sugar CRM, along with a set of Sugar CRM developer tools. It will also have extended utilities for remote or powered-off management of servers utilizing Intel's IPMI (Intelligent Platform Management Interface) remote server management software capabilities. For quicker start-up and on-demand loading and unloading of services, next-generation systemd management feature may be offered as a technology preview in Fedora 14, and will probably become the default initialization system in Fedora 15. Fedora 14 offers updates for a wide array of programming languages. It includes D functional programming language support and an early implementation of the Perl 6 specification based on the Parrot virtual machine, dubbed as Rakudo Star. I'm really excited about Fedora 14 and I'm already downloading the Beta version, which you can get HERE. The final "stable" version of Fedora 14 is expected to be unleashed in November.